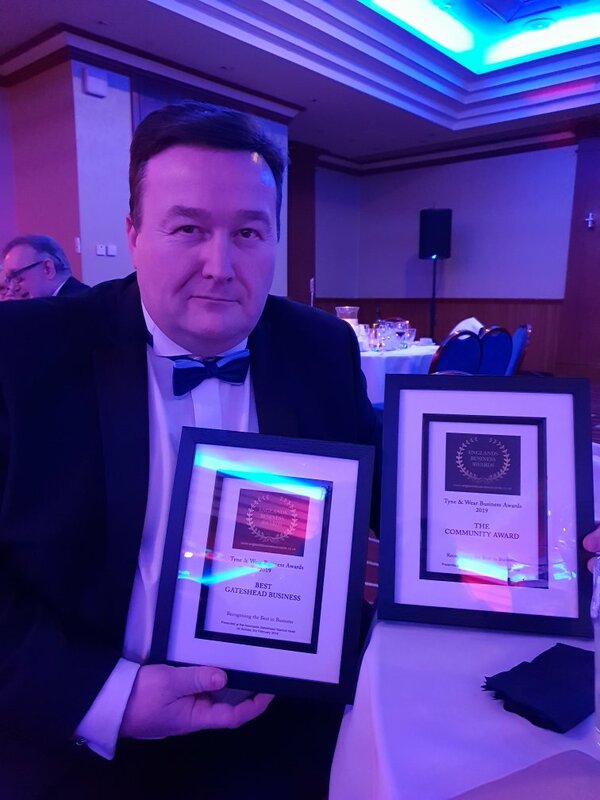 So proud to announce, SOS won two awards during Sunday nights prestigious Tyne and Wear Business Awards, ran in association with England Business Awards. Over two hundred people were in attendance from businesses across the region. SOS picked up Best Gateshead Business Award and also The Community Fund Award. This is also great recognition for our dedicated and hard working staff. Thank you to everyone who’d voted and nominated leading up to Sunday evening, we’re very grateful.